Home » Business Casual: A Double-Standard? The Business Casual dress code…what does it bring to mind for you? Most offices outside of law and finance have adopted this fairly ambiguous set of non-rules for their employees. But the variation on how business casual is implemented both within and between companies can be maddening. Dress too formally, and you might be considered out of touch. Dress with too much pizazz, and you might be considered as trying too hard. 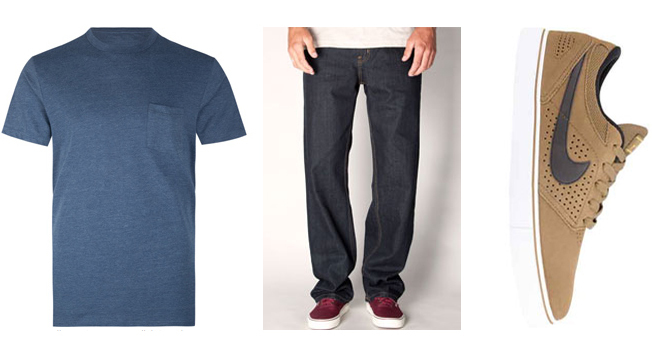 Dress too casually, and you might be taken as sloppy, or without seriousness. Here’s how I interpret business casual: Polished but not a suit; a top but not a t-shirt nor a tank top; skirts, pants or dresses (shoulders covered); jeans in a dark wash; shoes can be flat, but not sandals or sneakers. It seems to me that “business casual” for men has morphed into straight-up “casual.” I just can’t wrap my head around wearing jeans, sneakers, and a t-shirt in a workplace setting, ever. 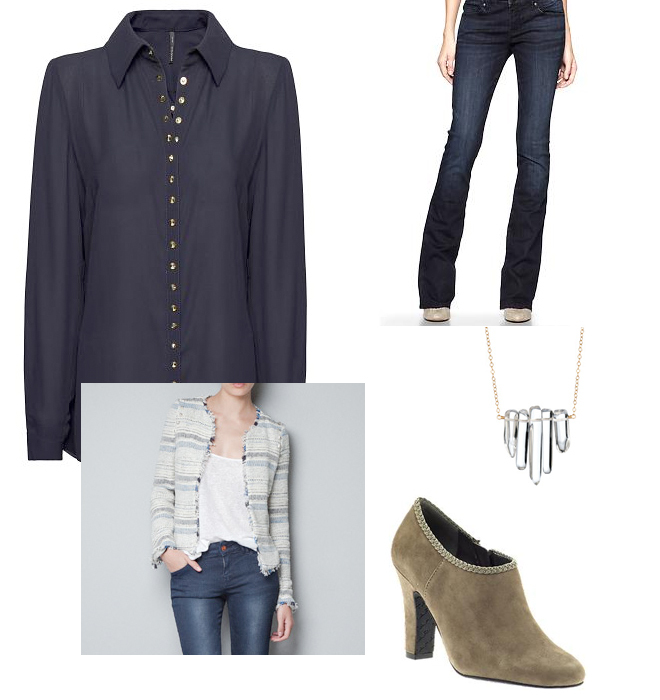 Note the blouse-not-tee; the boot-not-sneaker, and the jacket to tie it all together. I wonder if this is the result of internal or external pressure on women. Do women take even casual looks up a notch because they can, or because they have to? What do you think? Denim is absolutely forbidden in my workplace, even denim-colored Tencel skirt gets frowned upon. Frustrating thing is that some people have to change into scrubs on their arrival, but they’re not allowed to either. Supposedly, even people coming in on call in the middle of the night have been written up, even if they came in at 1 a.m. and changed immediately. But that’s Orange County for you.